Eavestroughs are a bit like tyres on a car. Nobody gives them much thought until they fail. But waiting for your eavestroughs to come crashing to the ground before you replace them is like waiting for a bald tyre to blow while you’re driving. In both cases it is worth your while to take care of the problem before it becomes critical or causes a cascade of other problems that will require expensive fixes themselves. Whether you live in Milton, Burlington, Oakville or anywhere else in the Greater Toronto Area, a new eavestrough installation is essential home maintenance and below we’ll give you 7 reasons why. Help Prevent Basement Flooding: When water from the roof spills out of the eavestrough and lands next to the foundation it penetrates the soil and puts hydrostatic pressure on the exterior of the foundation. Foundations are strong but relentless hydrostatic pressure will find a way through and basement flooding will become your new normal. Keep Your Foundation Stable: One of the most important side effects of keeping water out of the basement is that the foundation will not be undermined. This is crucial to the overall wellbeing of your home. If too much water penetrates the ground around the foundation that ground will begin to subside. When that happens your home begins to settle, often unevenly. Provide Instant Curb Appeal: Most homeowners don’t think about the visual impact of eavestroughs until they break down, clog or start to come loose. Nothing says ‘rundown’ quite like the sight of water spilling out of eavestroughs that are hanging at an odd angle. A new eavestrough installation will provide your home with an immediate jolt of curb appeal. 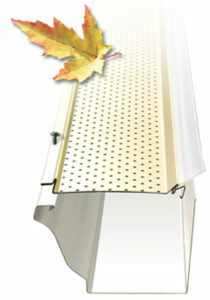 Prevent Other Problems: New eavestroughs will also help save the flower beds around your house, prevent rot in the fascia, prevent water intrusion into the attic and exterior walls, prevent the growth of potentially harmful molds in your basement and make sure rainwater is properly drained from your property. Require Minimal Maintenance: While you may spend quite a bit of time and money propping up your old eavestroughs so that they’re in the right place and performing their job properly, new eavestroughs will be largely maintenance free; especially if you install gutter guards to keep leaves and other debris from causing backups. Make It Easier to Sell Your Home: Putting your home on the market with old, barely functioning eavestroughs is asking for a ‘no sale’. Conversely, replacing your old eavestroughs before hanging the ‘for sale’ sign out front will make it much more likely you close the deal in a timely fashion. Help Keep Pests From Moving In: People with squirrel or raccoon infestations in their attic commonly discover they got there through a fascia compromised by the eavestrough. Either water overflowing the eavestrough weakened the fascia making it easy for pests to claw through the wood or the eavestrough pulled away from the fascia leaving a hole that could be exploited. Either way a new eavestrough installation will prevent this happening. Replacing old malfunctioning eavestroughs is as important as changing the oil on your car. You might get away with ignoring it for a while. But more likely you’ll set in motion other problems that will require expensive fixes in the future. Don’t gamble with the value of your home. Call Alliance Trust Aluminum today and talk to one of our helpful pros about new eavestrough installation. Wherever you happen to live in the city of Toronto or the GTA, you are sure to find a number of local contractors who are more than happy to furnish you with quotations for new eavestrough installation. In fact, the problem for many homeowners is not finding a contractor who is willing to install their new guttering but picking the best firm for the job. Whether you are currently sitting at home sorting through half a dozen quotes or you have yet to contact any local contractors, you can use the following guide as a reference when you are evaluating the companies who provide you with proposals. Think carefully about each of the points below as you study the quotes you have received. With luck, you will then find it much easier to make your choice! • Are Seamless Eavestroughs an Option? – If possible, choose a contractor who provides you with a seamless eavestrough installation option. If you are not sure what this means, don’t worry because it is a very simple concept to understand. Seamless guttering is made from one continuous piece of material rather than many sections joined together, which cuts down significantly on the number of possible sites for leaks in the future. Whether you live near our offices in Milton, in neighbouring Burlington or Oakville, or somewhere further afield, you will find that a seamless installation is much easier to maintain during the rainy autumn and winter months we often experience here in the GTA. • Is the Work Guaranteed? – A reputable contractor will provide you with some form of warranty for parts and labour when completing an eavestrough installation on your property. Any companies that are not willing to stand behind the work they do should not be included on your final shortlist. 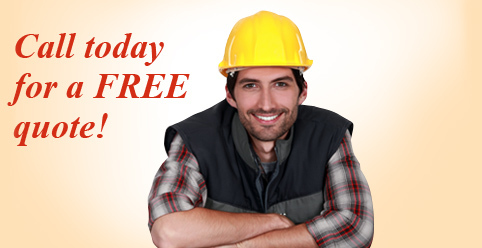 • Is the Contractor Fully Insured? – If there is nothing in the quotation or on the contractor’s website that mentions insurance, you should either cross that company off your list or call them and ask them whether they have comprehensive liability insurance for the work they are doing. This is very important as you could end up being liable for all sorts of costs if something were to go wrong during the installation process and your contractor turned out to be uninsured. • Are They Competitive? – You will obviously want to get a good deal when you pay for your new eavestrough installation so you should only consider those companies that have quoted a competitive price. It is not necessarily a good idea to go for the cheapest contractor just because of their rates but if you have obtained a number of quotes and 2 or 3 of them look to be uncompetitive, you probably won’t want to pursue those quotations any further. • Have They or Can They Provide Testimonials? – Written testimonials from previous clients are a valuable source of information, especially when they can be verified. If any of the contractors who provide you with a proposal included testimonials or have links to them on their website, you may wish to give them special consideration. The fact their old customers were so pleased with the service they received that they felt compelled to write and thank them says a great deal about the company in question. The more recent these testimonials are, the better. If you would like to receive a quotation for a new seamless eavestrough installation, from a company that ticks all the right boxes, please do not hesitate to call and let us know your requirements whenever you are free. When most people in Milton, Burlington and other parts of the GTA think about maintaining the roof that is literally over their heads, they probably focus on the shingles or tiles, and the guttering that carries rainwater safely away from the roof during stormy weather conditions. One vital component of the roofing structure they may neglect to consider is the soffits, those pieces of wood, aluminum, vinyl, or fiber cement that connect the underside of the roof where it overhangs your exterior walls, to those exterior walls. However, to neglect these pieces of the jigsaw puzzle such as Soffit Installation could be a big mistake, as we will illustrate in this short guide. Homeowners who live in the GTA, perhaps by the lake in Oakville or in a slightly more sheltered location, will not need to be told about the windy, rainy conditions we often experience in this part of the world. What they might not know is how much damage this combination of wind and rain can do to unprotected properties in the area. This is just one of the reasons that soffits are such an important part of your home. 1. Prevention of Water Damage – Rain that is blown toward the underside of your roof could cause serious water damage if it were able to enter through holes and cracks that were present there. If you have a brand new soffit installation, this will obviously not be the case. Given just how much damage water can do when it is able to enter your home, this first reason not to delay a new installation is probably the most important as far as most Toronto homeowners are concerned. 2. Attic Ventilation – Unless your house was specifically designed to have an unventilated attic, you will need a soffit installation that includes vents, to allow air to circulate through your attic. While these vents could let in a certain amount of water during extremely high winds combined with heavy rainfall, the amount will be insignificant compared to what could get through in the event you leave your soffits to rot and fall off. 3. Keeping Pests Out – Rodents and other pests can make their way through gaps in your roof joists and rafters if you do not have a solid soffit installation in place. While you may seldom enter your attic space, once such pests nest in there, they may well spread to other parts of your home, causing a great deal of damage and distress in the process. 4. Improving the Exterior Appearance of Your Home – You may seldom notice your soffits but if you leave them until they are in such a bad state of disrepair that large chunks start to fall off, passers by and neighbours are unlikely to be impressed with your property’s exterior. While you may ordinarily not be too concerned about other people’s opinions, you probably don’t want them to think you live in a home that is literally falling to pieces. As you can see, putting off a new soffit installation could have serious repercussions and we haven’t even mentioned the fact that chunks of falling soffit material could be potentially dangerous to you and your family as well! If you want to make sure that both your family and your property are well protected this winter, be sure to inspect your soffits long before the bad weather sets in and to replace then if necessary. Feel free to call us for a competitive quotation or free advice at any time. Many Toronto homeowners give little thought to the soffits and fascia that cover the section of roof attached to the outer walls of their property until they deteriorate to a point where replacement is the only practical option. This is understandable, as they are not the most noticeable of exterior fixtures but if you are going to have your fascia boards replaced, you should make sure that you invest in high quality materials and that the work is carried out by experienced professionals. If you choose a contractor based on price alone, you could live to regret your decision in the future. Manufacturing Defects – Cheap fascia boards may have manufacturing defects that cause problems further down the line. Even if they are installed by an experienced professional, such boards are likely to deteriorate faster than normal, resulting in more expense for you in a couple of years’ time. Any savings you make by economising with cheap materials will be insignificant compared to the cost of a new fascia installation a few years into the future. Poor Installation – Whether the boards you are supplied with are of a good quality or are defective, poor installation could render them ineffective. In addition to their cosmetic function, fascia boards can help to protect your property from water damage so it is essential that they are properly installed. For homeowners in this part of the world, it is crucial to have your fascia installed by professionals who know what they are doing, in order to avoid damage to your property during adverse weather conditions. Unexpected Expenses – Reputable Fascia suppliers and installers carry liability insurance, which will cover the cost of repairs to your home in the event of any accidental damage caused by the contractors. It will also cover all medical costs and claims for loss of earnings that could arise should one of the workers sustain an injury during the fascia installation process. Less well-established installers who offer to carry out the work at a much lower price may not have liability insurance. If this is the case, you, as the homeowner, could be liable for all such costs. Poor Finish – Cheap fascia boards are often made from low quality materials with a poor finish, which means that they will do nothing to add to the curb appeal of your property. If you want to make sure that the exterior of your home is as attractive as the interior, you should avoid buying the cheapest boards you can find. A reputable contractor will only supply good quality fascia so you can rely on them to improve rather than spoil the appearance of your property. If you would like to obtain a competitive quotation for fascia installation from a well-established contractor that provides great customer service and high quality boards, call or email us today. We have many years of experience in the business and are committed to ensuring first-class results on every job we undertake. Soffit Installation: Which Material Wins? If the time has come to replace the soffits connecting the roof overhang to the exterior walls of your home, you may be wondering which material to choose. There are several popular materials commonly available in the Greater Toronto Area, each with their pros and cons. To make your choice easier, we have listed the most popular materials in the section below, along with some thoughts on the strengths and weaknesses of each one. Hopefully, after reading this list, you will be better placed to make the right decision for your home. Whether you live in Milton where our offices are situated, or nearby in Burlington or Oakville, your choice of material could have long-term consequences for you and your home. Below, we discuss 4 of the most commonly available materials, to make your choice easier. Vinyl – This has been a very popular choice over the years, thanks in no small part to the relatively low cost of vinyl soffits. However, although it is relatively inexpensive, provides a good level of insulation, and is water resistant so will therefore not rot, there are a few issues you need to be aware of should you be thinking of choosing this material for your soffit installation. It discolours quickly and goes brittle when exposed to sunlight, it can be susceptible to mould in damp conditions, and it is difficult to cut and bend, making it unsuitable for odd-shaped roofs. Timber – Cedar and pine soffits can look very attractive, which accounts for their popularity in some areas. Unfortunately, although timber is more expensive than vinyl, it will eventually rot in damp conditions and if you want to keep it looking good, you will need to have it stained or painted every few years. The fact that it is susceptible to moisture and is quite a high maintenance choice makes it a less attractive option than it might at first appear. Fibre Cement – In common with timber, fibre cement is more expensive than vinyl and unfortunately, it also shares timber’s tendency to rot over time. Both timber and fibre cement soffits are hard to keep clean as well, which means that although they may look much nicer than vinyl when they are first installed, they will quickly deteriorate from an aesthetic point of view. If you choose this material for your next soffit installation, be prepared to put in some hard work keeping it clean or to pay somebody else to do it for you. Aluminum – This is another choice that is more expensive than vinyl but, unlike timber and fibre cement, aluminum will not rot. Its durable nature means that it will not chip or crack over time either, making it a good choice for homeowners who want to ensure the exterior of their property remains in excellent condition for many years to come. The fact that it is also non-combustible makes it one of the safest choices for soffit installation in a family home. One more material that is occasionally offered in the area is steel. While steel is probably even more durable than aluminum, the fact that it can cost up to 40% more makes it a poor value choice as far as most homeowners are concerned. If you would like to find out more about soffit installation and the ramifications of your choice of material, please feel free to call and speak to a member of our team during normal working hours. Alternatively you can use the contact form on our site to request further information if you prefer. Given the critical role that fascia board plays in protecting your home from the elements, it is essential that it is installed correctly, else all sorts of problems may arise. Wherever you happen to live in the GTA, you need to take care with new installations if you wish to keep your property in good condition and preserve its value for the future. For this reason, we have put together a short list of mistakes that you really need to avoid when dealing with this part of your home. If you want to ensure that the money you have spent on new fascia boards does not go to waste, avoid the following mistakes at all costs. Given the adverse weather conditions we often experience in Milton, Oakville, Burlington and elsewhere in the Greater Toronto Area, it is vital to get it right first time. Hiring a Contractor Without Insurance – All sorts of things can go wrong when working at heights so you must ensure that any contractor you hire to replace fascia boards is carrying comprehensive liability insurance that covers both their employees and their customers. A comprehensive policy will also cover any damage that might inadvertently be inflicted on your property during the installation process. Failing to Consider the Quality of Materials Used – If you are having all of your fascia boards replaced, you should spend some time considering the different types of material from which they can be manufactured these days and deciding which one will be most suitable for your property. Homeowners in areas close to the lake will not need to be told about the importance of choosing durable materials when carrying out property repairs: aluminum is the most popular choice for fascia installation in the area owing to its highly durable nature. Make the wrong choice and it could cost you dearly in the future. Picking the Wrong Time of Year – Contactors do not want to be working on your roof in howling winds and torrential rain and, even if they did, your property could sustain water damage if you decide to replace the fascia boards at such a time. The summer months are the best time to have such work done. Leaving It Too Late – Don’t make the mistake of waiting until your existing fascias have rotted away completely or you may end up having to spend a lot more than you anticipated, to repair the water damage that is sustained by your property. Doing the Work Yourself – Unless you are a very experienced DIY expert who has no fear of heights, fascia installation is a job that is best left to the experts. Wherever you happen to be in the GTA, you can rely on Alliance Trust Aluminum for all your fascia needs. Call or email us today to request a competitive quotation. Eavestrough installation seems like it should be a pretty straightforward process: you do a little online research and find a company near you, then call and arrange for them to come and take care of the installation. Easy, right? Well, yes and no. If you’ve found a company with a reputation for quality work at affordable prices then the answer is “yes”. If on the other hand you found someone whose primary interest is getting 25% cash up front then the answer is probably “no”. So how to separate the trustworthy from the scam artists? In this post we’ll provide you with 6 questions that should help. When it comes to home improvement projects everyone wants a good price. Problems arise however when you get blinded by a great price and neglect to ask the following questions in order to find out if the prospective contractor is legit. 1) Can you provide references? – This is right up front because if they can’t provide references you shouldn’t even consider them. If they do supply you with names and numbers it’s important that you follow up by calling those folks and possibly taking a ride by their house to check out the quality of the work. 2) Are you licensed and insured? – Licensed contractors need to live up to certain standards. Unlicensed contractors get to make it up as they go. Whoever does your installation also needs to be able to prove they have robust liability coverage and that their employees are covered by workman’s comp in case of accident. No insurance, no deal. a) Copper – The natural beauty of copper comes at a price. So beware. b) Vinyl – Vinyl is lightweight, easy to install, 100% corrosion-proof and inexpensive. c) Wood – For wood eavestroughs you’ll want a company that’s done it before. d) Galvanized – Galvanized was the industry standard before aluminum. e) Aluminum – Aluminum is durable, corrosion resistance and easily formed onsite. 4) Do you use nails or screws? – This is important for the long term viability of the eavestrough installation. Sometimes homeowners have to replace their eavestroughs not because they’ve worn out but because the nails the installer used pulled out over time and the eavestrough gave way. This won’t happen when the installer uses screws. 5) How do you handle damaged supports? – Sometimes when the old eavestroughs are removed damage to the underlying fascia is revealed; meaning attaching new eavestroughs to it won’t work. You’ll need to have this damage repaired first. A reputable company will be able to take care of it for you and give you some idea how much they charge for such a service. 6) How long will the job take? – The prospective company should be able to give you a clear idea how long the job will take them. While weather delays are always a possibility it shouldn’t impact the number of working days it will take to finish the job. Depending on the size of your home it should only take a few days. Other things you’ll want to discuss with the contractor include clean-up, payment schedule and whether or not they offer a warranty on their eavestrough installation work. When it’s time to replace the eavestroughs on your Milton, Oakville, Burlington or Toronto home call the pros at Alliance Trust Aluminum Inc. We’ve been creating satisfied customers right across the GTA for more than 6 years with our fair pricing and no hassle, no tricks eavestrough installation. Siding a home today is a largely trouble-free, straightforward process that can leave your house looking like new and sealed up tight against the elements. Energy savings, increased curb appeal and outstanding ROI are all things you can expect from your siding installation project. However, errors are still sometimes made during a siding installation, errors that are for the most part avoidable if you know what to look out for. Before your siding installation in Burlington gets underway make a note of these things to watch out for during the process. Tolerances are too tight – Siding expands and contracts with the temperature so nails should not be driven in too tight and tolerances around windows and doors should not be too exact. A tiny bit of leeway should be given in both instances to allow for this natural phenomenon. Waterproofing is poorly done – The siding itself is not waterproof. In order to seal your siding against the weather a waterproof barrier must be put in place beneath it. If this barrier is not properly installed moisture problems will affect both the home’s exterior and interior. Surface is poorly prepared – Before the siding can be installed the surface must be properly prepared. This means sealing all leaks and cracks, including those around windows and doors. Failure to do so will compromise the effectiveness of the siding to keep out the elements. Improperly installed trim – Before the actual siding is installed the trim needs to be installed first. Improperly or hastily installed flashings and trim will wreak havoc with the overall effectiveness of the siding installation. Tolerances are too loose – The flip side of tolerances being too tight is leaving things too loose. If the siding and various trim elements are not properly fastened down you’ll likely hear whistling, rattling and various clattering noises when it’s windy out. If the siding has been poorly installed you’ll likely witness buckling problems before too much time has passed. You’re also likely to notice drafts in the house, the aforementioned whistling sounds and leaks appearing around windows and doors. The siding installation professionals at Alliance Trust Aluminum have earned a solid reputation for quality workmanship at affordable prices. We can wrap your home in a blanket of beautiful, waterproof, energy saving siding in no time for a price that won’t send you to the poor house. Call us today on 647-898-4228 to find out more about siding installation in Burlington. When you choose to install new eavestrough on your home you’re not just giving it a quick facelift, you’re investing in its current health, long term value and viability. Your home is very likely the largest single investment you’ll ever make and should be treated as such. By choosing eavestroughs from Alliance Trust you’re helping to ensure the home you love so much will still be there to serve the needs of your children and grandchildren. Here are 5 ways that new a new eavestrough installation in Oakville from Alliance Trust Aluminum can add value to your home. Curb appeal – Few things raise the curb appeal of a home as quickly and dramatically as the installation of new Your home’s entire profile will be automatically enhanced and in most cases the surrounding landscape will also get a boost-by-association. Reduced maintenance – An eavestrough installation from Alliance Trust Aluminum will greatly reduce the amount of maintenance your home will require. No more hiring eavestrough contractors every few years. No more replacing rotting wood at the end of another long Ontario winter. Our premium eavestrough options will keep your house looking good year round, year after year. Environmental advantages – Eavestroughs from Alliance Trust can take a big bite out of your energy bills and leave you more money for important things; like winter vacations in the Caribbean! Not only that but when the day comes in the distant future when you’re ready to redo your home anew, your old eavestroughs can be completely recycled. Outstanding ROI – Multiple sources put new eavestroughs at or near the top of the list of home improvement projects with the most attractive ROI. In some cases your ROI may be 100% of the initial expense. That’s better than kitchen remodeling or basement renovation. Increased marketability – While the increase in your home’s bottom line value may be limited, your new eavestroughs will make it easier for you to sell your home when the time comes and help ensure you get closer to your asking price. New eavestroughs from Alliance Trust Aluminum can be the difference between thriving in your home and surviving in it, between stifling energy bills and affordable ones and between closing on your home quickly and watching it linger on the market unsold. Call us today on 647-898-4228 to find out more about eavestrough installation in Oakville. Before you decide on a contractor to handle the eavestrough of your home you’ll want to find out something about them. After all there are a lot of eavestrough contractors in Milton and the surrounding area and not all will do the same quality work. So, in an effort to help you separate the good from the not so good here are 6 questions you should be prepared to ask before hiring a eavestrough contractor. Every eavestrough contractor will tell you they do a great job, and some of them do. In order to discover which ones are the keepers try asking these questions. How long have you been in business? – You want someone who has been in business at least a few years and has experience with the unique environmental challenges of the Toronto area. You don’t want to be someone’s first project. Are you fully licensed and insured? – If they can’t prove they have liability coverage and that their workers are covered by workmen’s compensation insurance you should take a pass. If they give you a license number you should verify it with the appropriate agency. Will you provide references? – If the eavestrough contractor is unwilling to provide references you should try someone else. If they do provide references you should check them out thoroughly. Call the numbers they give you and talk to past customers. Do you do the work yourself? – Sometimes the company you thought you hired subcontracts the work to another company and you wind up dealing with people you’ve never met. Make sure you know who’s going to show up. What is your payment schedule? – Some companies want a large down payment and the balance upon completion. Others want a smaller down payment and the balance paid as milestones are met. Whoever you hire you should never pay more than 50% up front. How do you process complaints? – Will there be someone on site that you can talk to or will you have to call a customer service number? Most established companies will handle issues quickly so the project can move forward. Alliance Trust Aluminum is rapidly gaining a reputation as one of the most reliable and affordable eavestrough contractors in Milton and the entire GTA. Don’t leave the fate of your largest investment in the hands of a fly-by-night company. Call Alliance Trust Aluminum today on 647-898-4228 for a free quote. Copyright © 2019 · Alliance Trust Aluminum Inc. Powered by Mississauga Consulting.